Carrie Davis is a Recording Artist from Birmingham, Alabama. Alabama is known for emerging artist like Take 6, The Blind Boys of Alabama, Lionel Richie and Ruben Studdard to name few. Carrie Davis is a singer, songwriter and worship leader, with a new single Let Me Tell It. 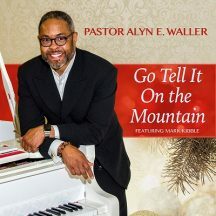 The song is an upbeat tempo gospel song to encourage your heart. 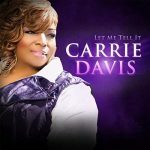 Although, Carrie Davis have been singing gospel music for more than a decade, it’s only recently she decided to launch her first project on a national level. She has been feature on many gospel projects and she is believing God for her season to spread the gospel through her music ministry. After several trials, tribulation and setbacks Carrie Davis is ready to share her ministry with the world. Currently, she is promoting her first single, Let Me Tell It at various venues.